A yummy, hearty tea for the Vanic Lord. Dates, oats and allspice all on a delicious black tea bed. I love the way that the oats lend a creamy and full mouth feel to it! This is definitely a good tea to keep you warm come the winter months. 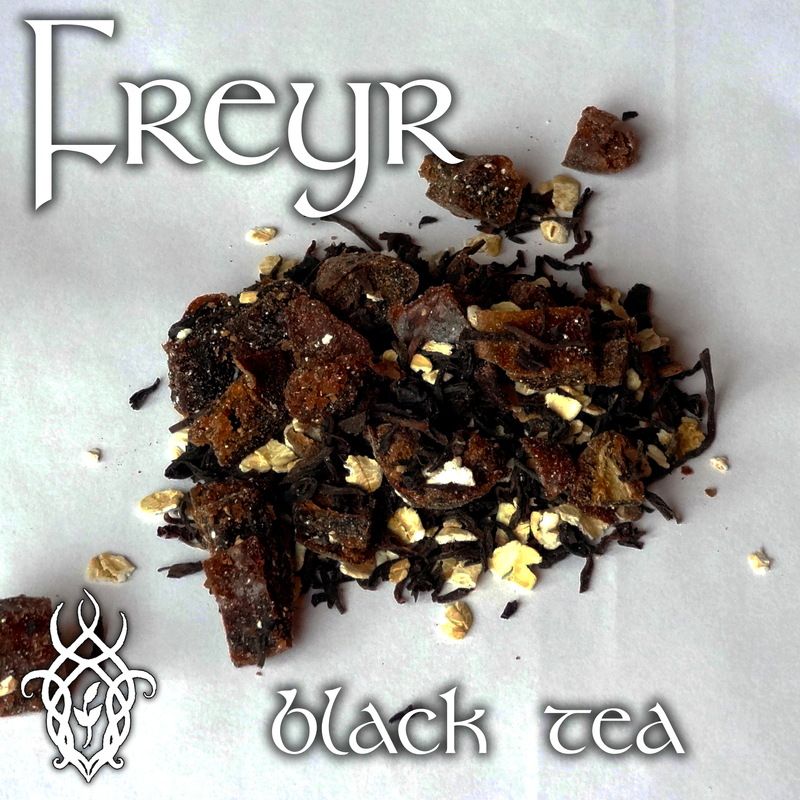 You can check out Freyr’s tea here, and if you’d like to have a look around what other Deity teas I offer, just head on into my shop!